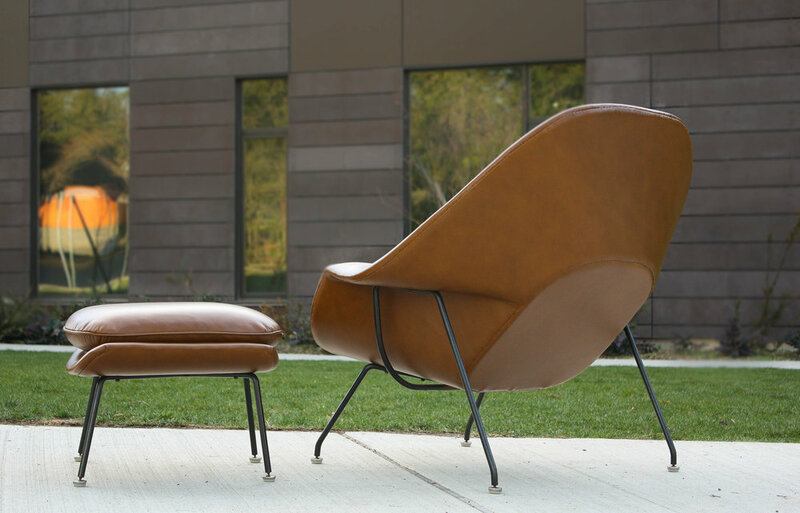 Finding a womb chair in leather is no easy task and we are proud to offer you this stunner in top grain Cognac leather. 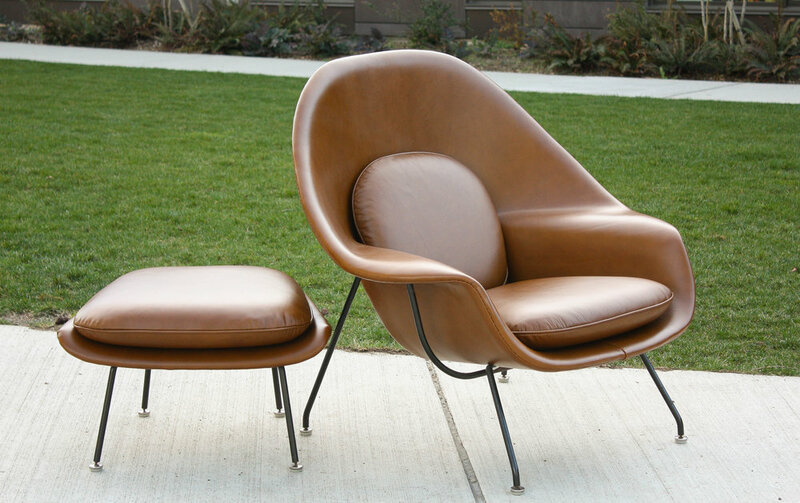 Early 1960’s model designed by Eero Saarinen, features a black metal frame and hockey puck feet. Both the chair and ottoman retain their original knoll labels. 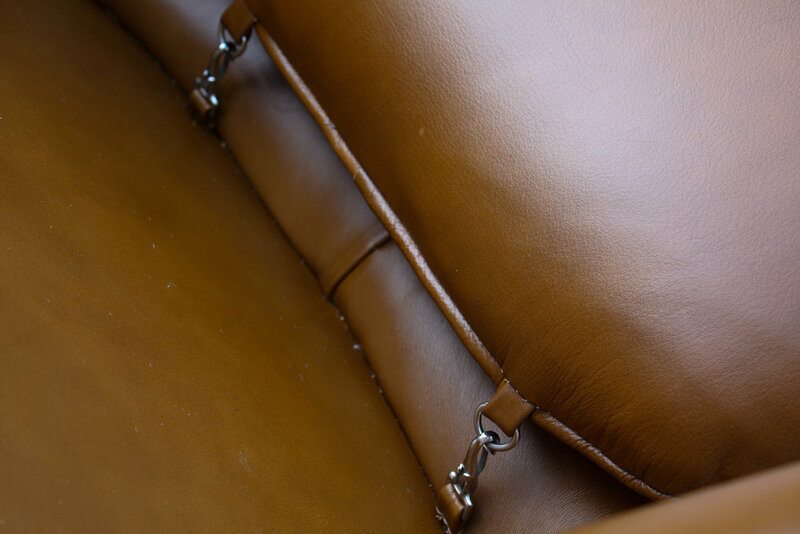 The upholstery is completely hand sewn per the original design intention. 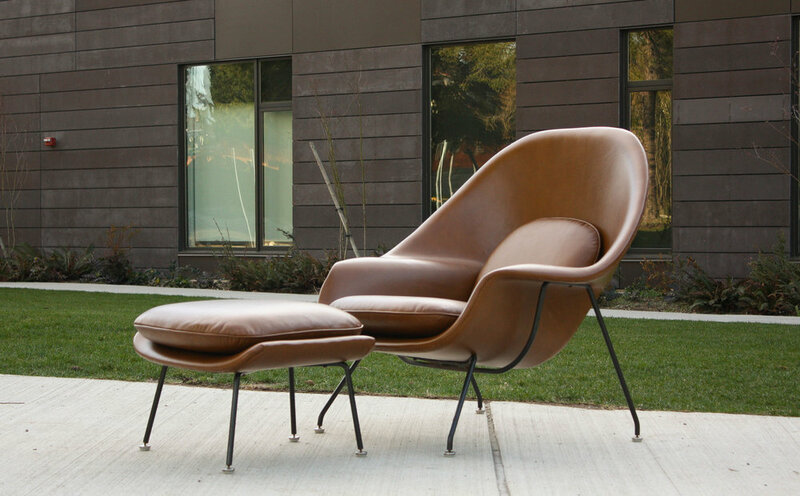 (On current production Womb chairs by Knoll they have put unsightly welting around the perimeter of the frame to save costs and conceal the machined seam). The matte black frame has a nice vintage patina that enhances the overall aesthetic of this killer vintage score. Original cushion clips retained to prevent the seat from slipping off the chair.